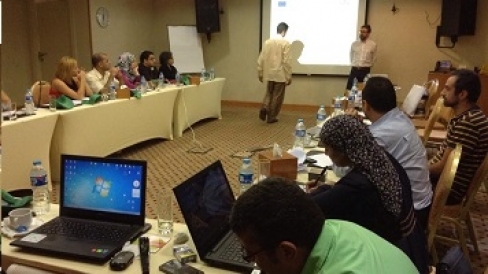 The 8th MED-DESIRE Technical & Scientific Committee meeting took place in Cairo - Egypt on October 12 and 13, 2015 and was organized by the New and Renewable Energy Agency (NREA) downstream the international capitalization event. The TSC was mainly devoted to check the advancement of all activities related to the active work packages (manly WP2 Communication, WP3 Capitalization, WP5 Certifications and Standards, WP6 Financial Instruments and WP7 Awareness raising), and to finalize the planning of the last two months and half of project life, in which some major activities will take place (WP5 and WP6 Training and/or Capacity Building events) and some of the key results of the projects will be delivered. The Steering Committee meeting was focused on the analysis of each partner expernditure status. The discussion was also devoted to the next steps to be made for the formal closure of the project.